Whilst birding at Sabkhat Al Fasl (Jubail) on 23rd March I found an unusual Yellow Wagtail that superficially looked like a bema, but had a white throat instead of the normal yellow throat of this sub-species. 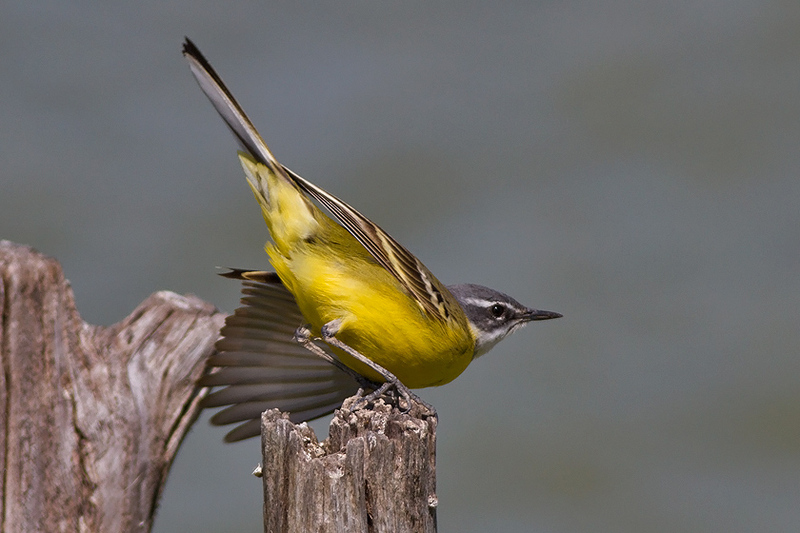 As a result it closely resembled Iberain Yellow Wagtail Motacilla flava iberiae a sub-species that has never been recorded in Saudi Arabia before, although it has been recorded twice in Israel (Shirahai – Birds of Israel). 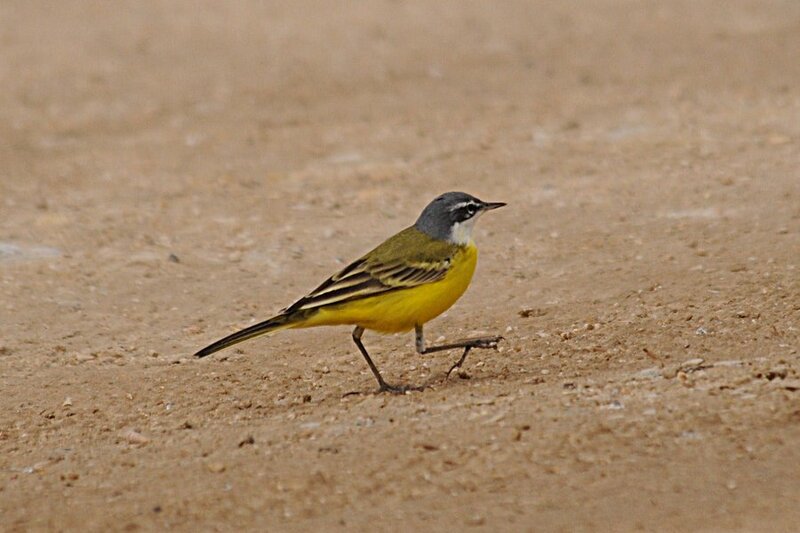 A good number of Yellow Wagtails are now passing through the Eastern Province of Saudi Arabia with many of them fine males in full breeding plumage and this bird was part of a large flock of 70+ birds including other sub-species such as Black-headed Wagtail Motacilla flava feldegg Sykes’s Wagtail Motacilla flava beema and Supercilliosis Motacilla feldegg x beema hybrid. I have included two beautiful photographs taken by Stephen Daly in Adalucia, Spain in March 2012 to compare my bird with. These are genuine Iberain Wagtails and I would like to thank Stephen for his permission to use his photographs. 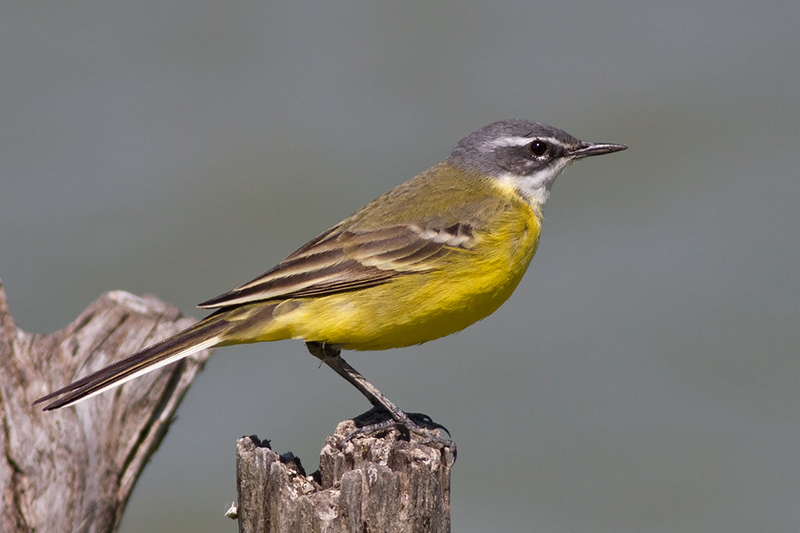 The Iberian Yellow Wagtail (Motacilla flava iberiae) is like flava, but the throat is white and the gray is darker.. They breed in South-west France, Iberia, north-west Africa from Tunisia to Banc d'Arguin (Mauritania) and winter in west and north-central Africa from Gambia to Central African Republic. Although the bird looks like an Iberian Yellow Wagtail the situation regarding the sub-species of Yellow Wagtail is far from straightforward as was pointed out in Birding World (Vol) 20: 104-112 March 2007, where Philippe Dubois mentions multiple hybridization occurs on the French side of the English Channel between Blue-headed Wagtail flava and Yellow Wagtail flavissima which he calls 'Channel Wagtail'; nominate x Spanish Wagtail M.f.iberiae which he calls 'Middlewest' Wagtail; Spanish Wagtail x Italian Wagtail M.f.cinereocapilla which he calls 'Mediterranean' Wagtail; and Italian Wagtail x nominate flava which he calls 'Eastern Wagtail'. This information makes attempting an identification of an out of place single bird fraught with danger and it is probably best to just say ‘showing characteristics of’ rather than putting a definitive name to birds far out of range such as my bird. I have posted this late as I was trying to find out about the variability of hybrid Yellow Wagtails, which appears to be highy complex to say the least. It's no coincidence that people call it the 'flava complex', mix in females and calling birds and ones' brain can start to ache but that certainly looks like the males i have seen (and will see shortly) on migration in Maroc - nice shot......At this time of year i am left wondering whether i will actually get Yellow Wagtail as a year-tick in the UK - it's that dire i'm afraid and do'nt mention Turtle Dove!